Burn Your Music Library: Like Cortez burning his ships, you too must part ways with your library of terrible music. Most Lutheran church music libraries are filled with music of mediocre quality written in the last 50 years by Methodists, Baptists, Pentecostals, and Lutherans pretending to be them. Purging this music is the first step towards reforming your choir, as you can’t actually be a Lutheran choir without good Lutheran music from excellent composers. Since you are likely tossing several hundred (horrible) octavos onto the bonfire, we employ the five-second rule: if it takes more than five seconds to evaluate a piece, we purge it. And if we accidentally purge something good as a result of this rule, it’s not a big deal as there’s no doubt something even better that we would sing in its place anyway. It may be difficult to do this, but believe us, you will thank us later. Learn the 4-Part Settings in the Hymnal: What do you sing now that there’s no going back? Start with the hymnal. It contains a wealth of great settings by eminent composers: orthodox in text, sublime in harmonization. This songbook of the church is your first task. Not only will your congregational singing improve, but your choir members will learn the fundamentals of reading music. Many of the motives they will learn in hymn singing will return in more complex music. Also, many great works by Lutheran composers use hymns as their basis—thus knowing the melodies gives you a leg up on learning these pieces. 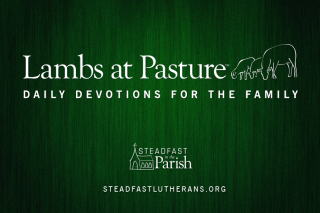 If you want to take this to the next level, look up alternate settings to these hymns in other Lutheran hymnals, or even do some research of your own on other settings from Lutheran composers. Sing the Propers: Integral to the theology of each Sunday and feast day, yet wrongfully neglected since Vatican II (why a heterodox Roman Catholic council would impact orthodox Lutheran worship is another topic entirely), the musical Propers are historically the choir’s purview. Start with chanting the Introit, Gradual/Psalm, and Alleluia verse to the LSB psalm tones. This will both catechize your choir in the fundamentals of the liturgy and also teach them the very valuable technique of chant. Learning to chant will help your choir sing with a healthier, more focused tone. It will also assist in teaching the congregation to chant, a win-win. If you want to go beyond the LSB tones, try using Gregorian psalm tones or even Anglican chant for a bigger challenge. You can also sing motets on the Proper texts instead of chanting them and use Sequences (such as Victimae Paschali laudes (LSB 460)) on feast days. And if you want to continue some congregational involvement, consider chanting the Psalms responsively between the congregation and choir. Buy the Red Book: Seriously, purchase Lutheran Choral Anthology: The 16th Century, edited by Carl Schalk. It is worth its weight in gold. You will find a wealth of great motets written by Lutheran composers on various hymns. You can use these settings to sub in for hymn stanzas or as stand-alone choral pieces. It may be a bit intimidating at first, but be of good courage: you can do this. Once you get into the mode of singing these pieces, you are well on your way to being an awesome Lutheran choir. Appoint Section Leaders: It is always easier to sing if you have someone to follow who knows the part and is confident. Select, or hire, the best musicians you can get for each voice part to be section leaders who can help lead the other singers. Mine your local college or university for good vocalists. Work with them outside of rehearsal so that they come prepared. Learn to sing in German and Latin: Luther’s Reformation did encourage singing in the vernacular, but it certainly did not exclude singing in other languages. In fact, Latin and German co-existed happily in the liturgy through the time of Bach. Not only are Latin and German awesome to sing in, many of the truly great works of Lutheran music are written in these languages and have not been translated into English. Recall the adjuring of St. Paul in 1 Corinthians 14 about speaking in tongues and provide a translation for your hearers in the bulletin. If you can get over the intimidation of singing in a different language, a whole world of music opens up to you. Sing Through the Piece Several Times Before Fixing Problems: Trust your singers’ ability to read music. Many times, multiple run-throughs of the music will fix 90% of the problems. Plus, the consistent flow of the music will help people stay in the moment. Most good choral music will be self-reinforcing: the right note will be more obvious—therefore easier to sing—than the wrong one. (In fact, whether a piece of music follows the rules of musical grammar is a very important indicator as to whether it’s good or not. If the piece you’re singing doesn’t make sense, it may deserve to fuel the bonfire.) Certainly fix egregious errors if they pop up, but also understand that it will take several run-throughs before your choir is capable of dealing with the finer points of the diction or music. This approach will also increase your choir’s reading ability, which means you can absorb music faster. Sing Music By Great Lutheran (And Non-Lutheran) Composers: While Bach may be the most well-known Lutheran composer, there are others that are his equal and are underappreciated in Lutheran circles. Composers like Schiedt, Schein, Praetorius, the other Praetorius, Schütz, Senfl, and Hassler—just to name a few—may not be household names, but they should be. Become familiar with these composers and their works and you will find a wealth of great church music at your beck and call. And while Lutherans may have the best music, it doesn’t mean that other traditions have been slouches. Some of the best choral works were written for the Anglican church by English composers such as Tallis, Byrd, and Sheppard. Many of these are in English, a bonus if your choir is struggling with Latin or German. Even music by counter-Reformation composers like Lassus and Handl entered the Lutheran tradition (Bach had his choir sing Handl’s very accessible Ecce quomodo moritur justus every Good Friday—so should you! ), and Luther himself revered Josquin as the most brilliant of composers. It is well worth your time to learn more about these composers and their works. Many of them are amenable to sing in Lutheran churches, as they are just settings of Scripture or liturgical texts. Sing Polychoral (aka Multichoir) Music: Some of the most striking and fun pieces to sing and hear are polychoral. Lutheran composers wrote in this style for hundreds of years and produced countless fantastic settings of liturgical texts for two (or more) choirs. If you’ve appointed section leaders, you can follow Schütz’s lead and put your section leaders, one-to-a-part, in one choir and the rest of your singers in the other choir. It’s even more fun if you spatially differentiate the choirs: one in the chancel, the other in the balcony. (Not enough singers? No problem: count your singers as one choir and have the organ or instruments play the other choir’s music.) Do you want to beat the pants off of any Baptist Gospel choir? Sing one of these works and you will inspire awe in your congregation. Sing Cantatas: This may require hiring professional singers and instrumentalists, but it is worth doing: the Lutheran cantatas, especially those of Bach, are eminently Lutheran and full of musicality. Because Bach’s cantatas are by far the most difficult and sophisticated in the tradition, they have overshadowed literally thousands of great cantatas by Bach’s contemporaries such as Graupner, Telemann, and Buxtehude. These cantatas are often more musically accessible, fairly short, and require fewer instruments than Bach’s (and are therefore less expensive to produce), but are still extremely interesting. Try using one on Easter during communion (perhaps this one by Buxtehude), when there’s probably plenty of extra time to fill. There you have it. By the end of this process, you too will be blowing the socks off of your congregation, putting to shame any praise band, and enjoying the fantastic musical tradition of the Lutheran church. Would that this article were mandatory reading in every District at Pastors’ Conferences! A pipe dream to be sure, but we Confessional Lutherans are dreamers by nature, and I, for and as one, never apologize for that. As Norm can attest, in my time at St. John’s in Champaign, IL, we had the singular blessing of Dr. Joe Herl, in his earlier years but still a wunderkind, as our organist. It was , in all my years in the Holy Ministry, the best of times, so to speak. And I am more than certain Dr. Herl would echo your every sentiment! I thank you, and him, for continuing a tradition that should never be permitted to die off. The present schmaltz that most flocks must endure liturgically and musically is a testimony to that point. This is the best thing I have read in a long time! Also very validating: Having come into the Lutheran church from the outside, and having done a ton more Lutheran church music than I have ever had the chance to observe, apparently I must be on the right track! We’re currently doing most of these at least a little, except for 9-10 (for now…). Oh, and I assume you’re being metaphorical about the bonfire: Most of us simply do not have the budget to reboot a library from scratch. That doesn’t mean we can’t be highly selective! I would add stop using alternative melodies with the hymnal. My experience with this is it is not necessary and leads to music not matching the text. As a struggling volunteer choir director I am delighted to read this! I “burned” all “other” music, but then members wondered why we didn’t sing the “classics”! (Like “Standing on the Promises”, “Blessed Assurance” et al.) The suggestion to use LSB is a “LIKE” for me! What an easy “right here” choice! I’m printing this to keep handy. Thanks much, Dr. Edmond! That may be a future post on how to build a choir library on a shoestring budget. Jonathan and I are brainstorming ideas. Suffice it to say the bonfire is most definitely not metaphorical. Best to burn it to the ground so that no other poor undiscerning soul be tempted to use it. I do in general agree with this. However in a few cases there are alternate tunes that are as good or better than the original. In the case of Jesus Christ our Blessed Savior (Jesus Christus Unser Heiland) the melody used by pretty much everyone until recently was very different. Now the version in LSB has old provenance too, but the other tune was far more popular. In my opinion in these cases we should have both. However for things like To Jordan Came the Christ Our Lord we don’t need another tune, the original is awesome. My preference would be to say that any hymn Bach wrote a cantata for, we should have in our hymnal. After all there is a reason that Bach used the chorales for his framework and we miss that point if we don’t actually know the chorale as a congregation. Alas, the loss of the Propers in many LCMS churches pre-dated Vatican II. In many cases it served to keep the Divine Service at 60 minutes which was all the congregation was willing to tolerate. My home congregation added them back in the early 60s when we reopened the school (closed in 1917) and the new teacher/organist started teaching them to the students. Matins soon followed. People grew used to longer services or had the option of Marine….win/win all around! A pox on congregations trying the constrain the Divine Service to a specific time by removing elements of the service. Receiving God’s gifts and worshiping Him are our highest calling. Infinite time would not be enough. The Divine Service should take as long as it takes. If that means you are late to see your football game or go to Sunday brunch, you need to check your priorities. The Vatican II reference in this case was more towards why the congregation ended up being the one singing them. In principle I am all for the congregation singing as much as possible, especially the Psalms. That said the Propers are an excellent time for the congregation to meditate on the Word of God by being “preached to” by the choir. Also one needs to remember that the choir is simply that part of the congregation that rehearses beforehand, so it is not as if the congregation isn’t singing them. If they wish to sing the Propers they may join the choir and sing with them. Alternatively antiphonal singing is fantastic if you have a strong congregation and choir. Suffice it to say the choir most definitely should lead the Propers and a pox on any church that cuts them for the sake of time. Paul, these are some good points. The best one of all is #1. Although I would hesitate to accept #3, #5, and #10. 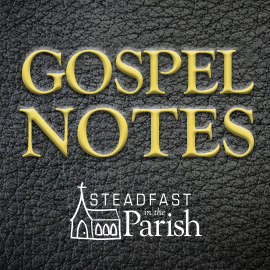 #3 – As a layman who loves to sing but doesn’t have the chops to sing in the choir, I am often frustrated at choirs that take the place of congregational singing. Like you mentioned, the choir is simply a part of the congregation who has rehearsed beforehand, not more and not less. I am all for antiphonal singing the Introit and the Gradual, yet if the choir chants the entire Propers it should be done occasionally and not a done every Sunday. And if it is done, it should be printed somewhere so the rest of the congregation can read what is being chanted. Many times, when the choir sings, it is difficult to make out the words with any clarity. I do understand that the Introit and Gradual is being “preached” by the choir and the rest of the congregation should meditate on it during this time, but one must recognize that functionally this may not end up being the result as we are all sinners and we can get lazy and tune out during this time. The Pastor and the Cantor need to have a good understanding of their own congregation before they insert the choir to chant the entire Propers. It is hard for me to find a good reason not to do antiphonal singing for the Propers. I don’t think the choir should sing the Alleluia and verse simply because the liturgy orders the whole congregation to sing. I would even emphasize this even more during the season of Easter when we’ve fasted from singing Alleluia during the season of Lent. #5 and #10 – One must keep in mind that the choir is not a performance. This is more of a temptation for a good choir vs. a bad one. Hiring professionals may be helpful for the choir and I’m sure it can be done rightly, I just have not experienced it being done without it being performance driven. If you’re hiring them, that means you’re paying them, so there will be this necessity to use their skills and perform. This ends up taking hymns away from the rest of the congregation. I’ve experienced that we sing 1 or 2 less hymns during Communion. Listening to hymns is a wonderful gift, but I’ve found that this gift finds its full completeness when sung during the Divine Service with the rest of the saints. Perhaps I’m different because I am constantly trying to learn as many hymns as possible while others who have been Lutheran much longer may already have these hymns and tunes memorized, but I always want to take as much of an opportunity to learn as many hymns as possible. If the choir takes away even 1 hymn a week, that’s 52 hymns that I’ve missed out on during the course of a year. I’ve learned so much about music and gained much appreciation for it over the years simply by singing hymns during the Divine Service. I want to continue learning and appreciating our hymns and the choir can compete against that. Choirs are also in the back of the church for a reason, although I’ve thought to myself that the choir is behaving like a backseat driver of a car. Choirs are a gift as long as we treat it rightly. With all that being said, #6 singing in German and Latin has been one of the best gifts a choir can provide. I love hearing Latin and German because it challenges me to decipher what these words mean (the translation needs to be in the bulletin). Especially with Latin, where you can gather the meaning of these words which as an added bonus, expands your English vocabulary. I imagine it would be extremely difficult to teach the entire congregation to sing in Latin or German, so introducing these languages via the choir is one of the best ways to do so. With regards to point 3. The text should always be in the bulletin, regardless if it is in English or some other language. As you note sometimes it is hard to understand what the choir is singing even if it is chant. An advantage of getting the choir to chant is that you can really focus on their diction, which can help with this problem. Naturally I would never want the congregation to feel that the choir is stealing anything from them. The choir is to be an additive joy, not a diminishment. As a choir director and pastor one needs to be cognizant of where you congregation is on these matters. Some parishes may see some of these steps as too high church and thus may need extra time before implementation. Personally I generally prefer the congregation to sing the Propers or to do it antiphonally, though I can certainly see the argument for having the choir sing it to. With regards to the Alleluia this can also be done antiphonally as the congregation sings the Alleluia and the choir sings a verse. As pointed out though, traditionally the Propers were the purview of the choir and there is a bunch of great music that has been composed for them on the texts. I will say that these pieces also may good pieces for the choir to sing at other points of the service as they are the core of the teaching for the day. Regardless of method though, the choir should go through the propers each week so they can lead the congregation and gain the beneficial training of singing the propers. With regard to point 5, I know this can be a sticky conversation in some congregations. There are great benefits to hiring section leads, there are also great risks and detriments. As you rightly point out it can rapidly change into the choir being a performance rather than aiding in worship. In addition while professional choirs may be more technically pure, they don’t believe what they are singing at all. This can lead to a hollow sound and frankly a lack of comprehension of the musical line that is being sought. It is always best to have those singing actually believe and understand what they sing, even if they are not very good at it. I would rather have a mediocre choir of believers than an outstanding choir of pagans. If you have the personnel in the congregation, definitely appoint section leaders rather than hire. If you have the money and can hire section leads certainly do, but not to the exclusion of more important things in the budget. If you need more manpower for a piece, hire people. Singing is hard work and takes training after all, so a laborer does deserve his wages. There is nothing inherently wrong with hiring people. What gets into sticky waters is exactly what you point out, when you lose the core point of the choir which is an aid not a distraction. Thus choirs generally should be volunteer, or if professional believing laity are in the congregation and the congregation can afford the expense paid. Regardless the choir should be majority if not completely believers, as they are part of the congregation. Else they are just singing lies that they don’t understand or believe. As to point 10, singing cantatas can be tough not to turn into a performance. This is why this is the last step, not many people will be able to do it well. First you have the expense, to perform a cantata you have to hire professionals to do the solo and instrumental sections. I have never seen a cantata done purely by members of the congregation, though if some one could pull that off that would be optimal. Certainly everything should be done to make it clear that the cantata is not a performance but rather to edify the congregation. Traditionally the cantata preceded the sermon rather than being during communion. The choir basically preached the word to the congregation to prepare it for the preaching of the pastor. The choir and instrumentalists should be in the back. Also there should be no clapping at any point, even after the service. While clapping is nice for the egos of the artists, it completely changes the character of the service in an instant. Something that was sacred suddenly becomes profane. If people wish to show their appreciation to the choir and instrumentalists they may do so after the service in person, which as a performer is always more appreciated than clapping. Still I want people to focus on the text and the service rather than be swept away in to viewing this as a performance. Cantata’s themselves are servants of the Word. They should not subsume the Word. It can be a tricky line though, and often one can fail at this, especially as cantatas are primarily performed in concert halls these days, so people do not view this as sacred music typically even though it is most definitely sacred in composition, content, and theme. As for stealing hymns for the congregation, I think part of it also is that some parishes rush through communion. Even as the choir I want to sing the communion hymns and if you blast through the distribution you end up short changing the congregation and the choir. The congregation both in singing the hymns but more importantly in the reverence and time they need with the Sacrament. This is more of a distribution praxis question than it is the choirs fault. Pastors need to slow down distribution. Give each communicant the attention and time they deserve. If communion takes a long time, so what. What is more important than the very Body and Blood of our Lord? Even the hymns we sing pale in comparison to the gift that we receive at the Altar. As such one should never rush communion for the sake of time. That I think would solve your complaint as the choir could certainly sing, but then you would easily have time to sing 3-4 hymns that have 5-10 stanzas each. In general I am in favor of singing more hymns than less. Again the choir should be additive not a distraction or feel like it is stealing. By the way when I said “singing lies” in the above statement I meant that from the unbeliever’s perspective as the text itself is most certainly true. Essentially an unbeliever in these choirs is at some level a hypocrite for singing something they personally hold as not true, even if it is objectively true and the congregation they are in certainly believes it. Wanted to clear up an confusion in case some one thought I meant the musical piece itself. Paul, with regard to rushing through Communion, this is a much more important and egregious issue. If we pox those churches who omit the Propers for the sake of time, how much more of a pox are those who rush through the Service of the Sacrament? May the Lord have mercy on those parishes that do so. Communion should never be rushed nor delayed, it takes as long as it takes. The Pastor has the most control over the length of Communion, but shouldn’t there be a discussion between the choir director and the Pastor to prevent the the stealing of hymns from the congregation? The issue of blasting through Communion aside, if there is not sufficient time to have congregational singing, then the choir singing should take a backseat. You also explain that you prefer the congregation singing the Propers, but you also see an argument for the choir singing it too. I am unaware what the argument is for the choir singing the entire Propers. Would you be able to expound upon that? You also mention that the Propers historically are the purview of the choir. Since nothing in the Divine Service is ever done without it’s proper confession, do you know why historically it was done this way? Certainly you should talk to your pastor and elders about the communion tempo. They are the ones who have primary control over that. The organist is at their mercy at some level, all they can control is the tempo of the hymns. I will state clearly that who sings the Propers is firmly in the realm of adiaphora. Thus it is no sin if the congregation or a cantor or the choir sings them. There is no theft here, even if there may be a feeling of it due to the congregation being used to singing them. This is a praxis question, not a sin question, I just want to clear about that. I’m not sure as to the specific history of the Propers, I would ask Jonathan that one. However in Scripture there are many examples of choirs singing specific segments of services such as the Levite singers, several Psalms that are designed to be sung antiphonally, as well as what we can see in Revelation where different groups sing at different times. So the practice is ancient. As to what purpose it serves, it is as I stated previously. First the choir has time to rehearse where the congregation does not, thus they can do more technically challenging music (not that the Propers are that technical in the format we sing them currently). Second we both know that it is different to be the one singing versus the one listening. It is the same as any element the choir sings, it gives time for the congregation to ponder and listen to the text at hand. Third, it is also to beautify and add reverence to the service. As to the topic of pagans being hired for the choir, this also is a praxis question. One should certainly be judicious and if hiring parts of the choir preferentially hire from the congregation. If that is not possible then certainly hire pagans. My point is that they should not be the dominant part of the choir. For those pagans who are hired, this would be performance. That said even a Lutheran organist who is hired to play for a worship service would feel like it was a performance. They may certainly believe what they are doing, but they are being paid for it. There is an expectation due to that payment that they would do their best. Nothing wrong with that. The bigger issue here really are the pagans in the Divine Service. Pagans can certainly be in the Divine Service to attend and if they wish to sing along so be it. That is their choice. We aren’t forcing anyone to do anything they don’t want to do, even by paying them. Now are the songs that pagans sing vacuous when they sing something they don’t believe? The Word is efficacious no matter who sings it or says it. They may be hypocrites but that is the hardness of their own hearts, no fault of the music or the text. It may be totally useless for them as a work, but that doesn’t mean it isn’t beneficial to the congregation (or even themselves as the Word can even convert them). Is it optimal? Certainly not, but one makes do with what one has in this vale of tears. If that upsets you I can’t really do much about that. I would take it up with your kantor and pastor and voice your concerns. Personally I have no problem with hiring pagans, nor is it sinful. My concern here is more towards the quality of the music to which you can see a difference between those who believe and those who don’t. In addition I would firmly say that this is purely optional and should only be done if you have the funds, if you can’t afford to hire people, don’t. Another middle ground is to send members of the choir to vocal training and have them gain the same skills as the pagan singers have. This is certainly a fine option as well as it improves the quality of the congregation as a whole and has basically the same effect as hiring people which is having some one of skill to follow and emulate. Thanks for the response. I would agree with your assessment. I should have been clearer that I was referring to using a setting with the understanding it is “easier to sing” and losing the musical richness the Lutheran Church used to be known for. I would never hire musicians to accompany my choir. First, I do not have the authority to do so. Second, those musicians may very well be outside of our fellowship. Therefore, how can I ask them to have any part in the leadership of our worship? If I were do do this how could we then tell a wedding couple that their best friend who is not of our fellowship that they cannot sing a solo at the wedding? Or give answer to a grandma who’s talented grandson cannot “perform” when he is a member of a Catholic parish? My choir is small – 8 members. It’s been as large as 15, but for many reasons (excuses) many chose not to sing the Word in song. However, the few I have are tremendous, work hard at their notes and diction, and we’ve tackled some very difficult pieces. I’d not trade them for any large choir in any local congregation. Often we sing antiphonally with the congregation on chorales, and also sing simple 4 part hymns from the hymnal. The best part of their dedication, however, is that they sing to proclaim God’s Word. Unfortunately I’m only seeing this discussion now, two months late! Re. the propers being the choir’s job: this is the way it was historically because the texts vary depending on the celebration, and before printed worship materials were widely available the congregation had no access to the texts. Scholars seem to agree that in the first several centuries of the Church’s existence the congregation would sing the ordinary, particularly the Kyrie and the Agnus (massive oversimplification here for sake of time), and the choir would sing the propers. As the liturgy developed, the chants to which the propers were set became more complex, since the people singing them were trained (i.e. monks, arguably the most highly educated people in the world at the time). The Gregorian melodies that were codified around the 8th century and first written down around the 9th and 10th centuries, and are still used today, show this: the introits and communions are the simplest; the offertories tend to be a bit more complex; and the graduals and alleluias are very hard to sing—but even the simplest communion chant is more involved than the typical Gregorian Agnus or Kyrie. So historically, since the congregation didn’t have the words or the melodies to the propers in front of them, both of which changed by the week and day, they didn’t sing them; and because the only people singing them were highly trained, the melodies became more and more elaborate. Some choir members are utterly gifted. They keep their mind in the hymns and their heart in the Scripture. They sing with their soul. What a greater joy for a church-goer than to witness that intimate moment when the chanter looses his/her fleshiness and sings Alleluia like there is nothing else but the voice and God himself …. The wretched spirit of the listener experiences for that blessed moment the greatness of living in the very palms of God’s hands…. And how a scapegoat for Luke 14:18-20 one feels when he/she distracts the singer from that graceful abandon into the divine….